The Rick Brunetto Big Band now in its 30th year, was formed as a means of bringing together some of the area’s best musicians dedicated to the preservation of the Big Band sound. In a day and age where small electronic groups have all but replaced 17 piece bands, this group has seemingly achieved the impossible. For almost 30 years they have maintained a steady engagement, appearing in various clubs and hotels in the Columbus area. Seventeen piece bands are virtually unheard of in cocktail lounges, but this bands unique situation has enjoyed enormous success and support from the many people who come every week to listen and dance to the Big Band sound. By 1984 Rick Brunetto had been playing with the Bob Allen Trio at the Christopher Inn nightly for over 10 years. 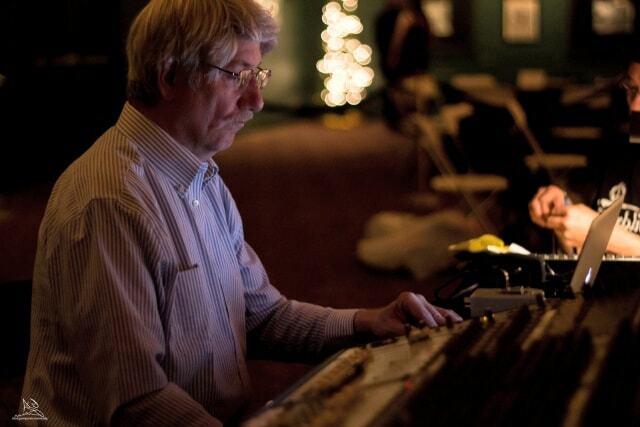 He was also directing a big band and teaching at Denison University. In June of 1984 with the help of his father-in-law, band leader Bruno Masdea, Rick decided to put together a big band. They began playing at the Christopher Inn on Sunday afternoons. After a nine month successful stay at the Christopher Inn the band went on to the 94th Aero Squadron, again on Sunday afternoons. “Finding a place to play was difficult at first”, Brunetto recalls. We knocked on many doors, but places were reluctant to take a chance on a band that size. Finally the 94th Aero Squadron agreed to give it a try. The results were overwhelming. By the third week the place was packed. The word had spread quickly about the big band at the Aero Squadron. Many people remarked how great it was to listen and dance to this wonderful music and the band played to full houses every Sunday. 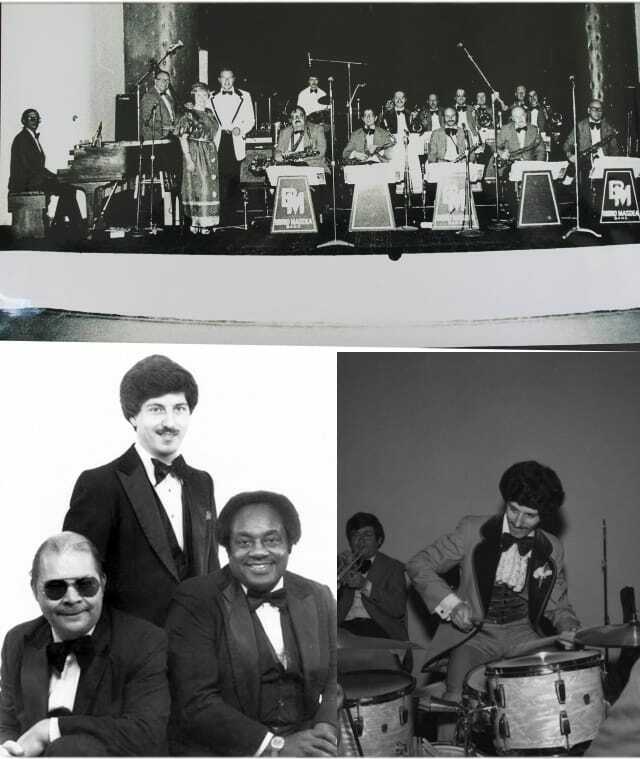 After a year of Sundays at the 94th the band went on to Montego Bay, a new club that saw the merits of this music and most Tuesday nights had 600 people dancing to the Rick Brunetto Big Band. In 1989 the Rick Brunetto Big Band would return to the 94th Aero Squadron which has remained their home for the past 27 years playing every Thursday night. After 30 years the Rick Brunetto Big Band enjoys the reputation as Central Ohio’s foremost and finest big band. They continue to play at many prestigious festivals and events such as the Candy Cane Ball, the Opera Ball, Kenyon College, Midland Theatre, Ohio Governors Ball, Columbus Italian Festival, Columbus Arts Festival, Music in the Air, Buckeye Lake, Weddings, Fund raisers and events of all types. In 2011 they partnered with the Historic Valley Dale Ballroom where they present a series of top notch dinner dances with a fully produced show of music, dancers, and multimedia. In May, 2013 the Rick Brunetto Big Band performed with Deana Martin at Caesar’s Palace in Atlantic City. Future tours are aslo in the works. Currently the band appears every Thursday at the 94th Aero Squadron. Equally comparable to the fine musical sound is the bands enthusiasm and love for what they do. It is notable that Brunetto frequently closes their performances by saying, “Ladies and gentleman, spread the word – Big Bands are back”.